Imagine your own personal cinema, right in the comfort of your home. What would it be like? Let the Panasonic TX-P42VT30B bring your dream to life. This 42″ 3D TV brings you everything you need for that ultimate cinematic experience: THX certified 2D and 3D video with crystal clear surround sound. 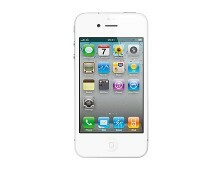 All this can be yours for as low as £734.99 at amazon.co.uk. Is the Panasonic TX-P42VT30B awesome? Yes it is! 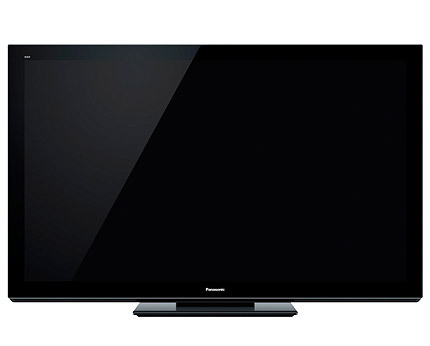 The Panasonic TX-P42VT30B is the smallest model from Panasonic’s VT30B family of flat screen TVs. With a 42” display, the TX-P42VT30B is topped by the 50” TX-P50VT30B, the 55” TX-P55VT30B and the monstrous 65” TX-P65VT30B. The 42” version packs enough features to turn your every TV watching session into an unforgettable one. The heart of this flat screen TV is a G14 Progressive Full HD NeoPlasma display, powered by the 600 Hz Drive Intelligent Frame Creation Pro motion engine and boosted by the High Contrast Filter Pro AR filter. This combination makes any 2D or 3D image displayed vibrant and realistic. The TV comes with a wide variety of tuners: DVB-T, PAL-I, DVB-T/T2 and DVB-S/S2, the last two both coming with MPEG4-AVC (H.264) support. Add the Vreal 3D engine and the recipe for the best 3D TV is complete. 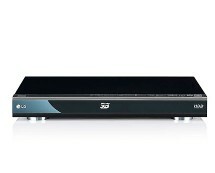 The 3D experience is enhanced by the 3D 24p Film Display/Smooth Film feature. Since no cinematic experience is complete without an adequate sound system, this Panasonic TV comes with two speakers delivering 6 Watts each and an integrated subwoofer of 10 Watts, Dolby Digital Plus certified. If that’s not enough for you, you can use the integrated analog or optical audio outputs to connect a more powerful audio system. Since we’re talking about connectivity options, let’s see the big picture. There are four HDMI connectors, with component and composite connectors and a D-sub connector completing the video connection category. Other devices such as thumb drives or external hard drives can be easily connected via the three USB ports. An SD card slot is also present and, due to the advanced recording functions, you can record your favorite TV shows directly on your SD card or hard drive. Don’t be fooled by the name of the VIERA Image Viewer feature – it doesn’t only allow you to view images, but also video clips and audio files. 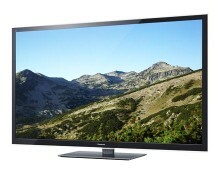 An Ethernet port is also present, allowing you to take advantage of the Internet functions this smart TV has to offer. When it comes to downsides, there’s not much to mention, as the Panasonic TX-P42VT30B pretty much comes close to being the perfect TV. Still, we could mention the lack of video or audio thumbnails in the EPG system. This is most likely to be fixed via a future firmware upgrade though. The TV comes bundled with two pairs of active shutter 3D glasses, allowing you and a friend to enjoy 3D content right from the box. 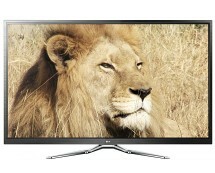 A Wi-Fi USB dongle is also included, allowing this plasma TV to be much more than an internet-ready TV.